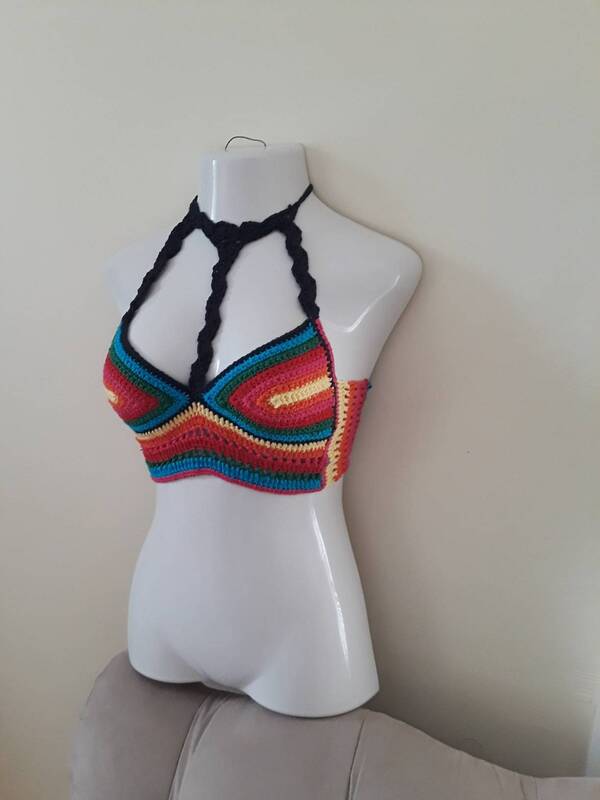 This is a colorful hippie inspired crochet tank halter top with a harness design perfect for satisfying your inner hippie. Top is also perfect as a festival top, summer top, beach cover up. The top is crocheted in colorfully yarns sure to make you stand out. Pair this with jeans or pants, mini or maxi skirt or use at the beach over your bikini top.